2004-11-25. Good. Ships with Tracking Number! INTERNATIONAL WORLDWIDE Shipping available. May not contain Access Codes or Supplements. May be ex-library. Shipping & Handling by region. Buy with confidence, excellent customer service! 2008-01-02. Good. Ships with Tracking Number! INTERNATIONAL WORLDWIDE Shipping available. May not contain Access Codes or Supplements. May be ex-library. Shipping & Handling by region. Buy with confidence, excellent customer service! 2014-03-02. Good. Ships with Tracking Number! INTERNATIONAL WORLDWIDE Shipping available. May not contain Access Codes or Supplements. May be ex-library. Shipping & Handling by region. Buy with confidence, excellent customer service! Wiley. Hardcover. 0470541091 New Textbook, Ships with Emailed Tracking from USA . New. 2015-08-10. New. Ships with Tracking Number! INTERNATIONAL WORLDWIDE Shipping available. Buy with confidence, excellent customer service! Black, Jacquelyn G.; Black, Laura J.
Wiley. LOOSE LEAF. 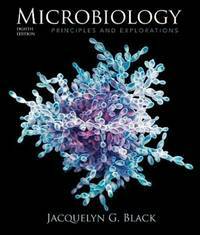 1118914589 New US Edition Textbook, Ships with Emailed Tracking from USA . New. John Wiley & Sons, 2008-01-01. 7th. Hardcover. Good. John Wiley. PAPERBACK. New . New Book. Shipped via DHL/FEDEX with tracking ID. John Wiley & Sons Inc, 2006-03-15. Unbnd. Paperback. Used:Good. Braz, J., Araújo, H., Vieira, A.
Springer, 2006. Hardcover. Brand New. Orders usually ship within 1-2 business days. We use FAST SHIPPING via FEDEX/UPS/DHL and deliver within 3-5 business days with tracking number, no shipping to PO BOX, APO, FPO addresses. Kindly provide phone number for expedite delivery. 100% Customer satisfaction guaranteed! John Wiley. New. Very good condition. Wiley (WileyPLUS Products). New. Still in the wrapping! 9th Edition. Has Access Ships fast! Expedited shipping 2-4 business days; Standard shipping 7-14 business days. John Wiley & Sons Inc, 2012-01-01. 8th. Used - Very Good. Page/Cover Damage, A copy that may have been read, very minimal wear and tear. May have a remainder mark. Wiley, 2011-05-24. 7. Paperback. Good. Wiley, 2012-01-03. 8. Hardcover. Used:Good. Wiley. LOOSE LEAF. 1118914589 US Edition Textbook, May Have Highlights, Notes and/or Underlining, BOOK ONLY-NO ACCESS CODE, NO CD, Ships with Emailed Tracking from USA . Good. 2004-04-05. New. Ships with Tracking Number! INTERNATIONAL WORLDWIDE Shipping available. Buy with confidence, excellent customer service! Wiley, 2014-09-29. Loose Leaf. Good. Wiley. PAPERBACK. 0470646217 New Condition. . New. Wiley. PAPERBACK. 0470646217 Like New Condition. . Fine. Wiley, 2011-05-24. Paperback. Good. All books ship SAME or NEXT business day!! 2nd Day Shipping Available! May show signs of use and May contain highlighting or underlining. May NOT include supplemental materials, cds, codes, etc. Contact us with any questions!! 2001-02-03. New. Ships with Tracking Number! INTERNATIONAL WORLDWIDE Shipping available. Buy with confidence, excellent customer service! 1996-10-01. Good. Ships with Tracking Number! INTERNATIONAL WORLDWIDE Shipping available. May not contain Access Codes or Supplements. May be ex-library. Shipping & Handling by region. Buy with confidence, excellent customer service! Wiley, 2008-01-02. 7. Hardcover. Used:Good. John Wiley & Sons Inc, 2006-03-15. Paperback. Good.